Craig McDermott was a superb fast bowler in a career filled with irony - one of the fittest cricketers to play the game, but dogged by injury. First selected for Queensland in 1984 at the age of 18, he would wind up his career in 1997 - short of the record he had hoped for - but acknowledged as one of Australia's great fast bowlers. Statistically, he played in 71 Test matches and captured 291 wickets at 28.63. In 138 'Limited Over Internationals' he took a record 203 wickets while for Queensland he managed 303 wickets at 25.09. Big and strong, the early 'Billy' was frequently fiery and often temperamental, falling out of favour for a while despite an outstanding debut tour to England in 1985. He took 30 wickets in the series, and starred in Australia's successful 1987 World Cup bid. Craig developed into a more focussed cricketer later in his career earning him recognition in 1992 and 1995 where he was named International Cricketer of the Year. But injury and sheer misfortune were constant companions. He returned home from New Zealand with a leg injury in 1993 and with his 200th test scalp hanging from his belt. He recovered from a hernia operation in time for the Ashes tour of England, but played in just two Tests and three One Day Internationals before having his tour cut short. He was seriously ill with a twisted bowel which required surgery. Craig toured South Africa the following year and was again forced to return home early, this time with a knee injury. Craig helped Australia retain the Ashes in 1995 (32 at 21.09) but was forced to miss the triumphant series against the West Indies in the Carribbean (ankle) and the World Cup in 1996 through injury. 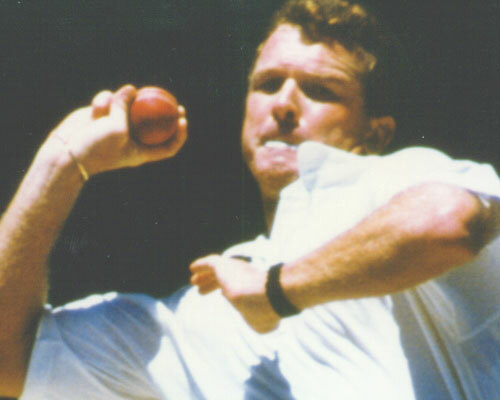 Flowing fast and feisty, Craig was a marvellous asset to Australian cricket, a fine physical figure who would almost certainly have approached record breaking figures had he enjoyed better luck. A knee injury sustained during a club game early in the summer of 1996-97 finally settled the issue, he announced his retirement in January 1997. Craig has been president of his Gold Coast Dolphins club, retains a close interest in the game and heads his own building and development company in south east Queensland.